Getting paid to read email remains a mystery for people who are searching for online jobs to earn money. A lot of questions arise in their mind starting with “Why should sites pay to read email?”. This article will give you answers to all the questions related to paid to read email sites. Do the PTR sites really pay for reading emails? Yes! get paid to read email! But the intent will be different for each site which pays to read email. Learn the working of paid to read programs and find the list of best paid to read email sites to start earning money. Internet users receive hundreds of emails to their inbox based on subscriptions. Emails are sent and received for various purposes like personal & business emails in common as a communication mode just like the phone call and SMS. But, why do these sites pay for reading email and what do they benefit paying us for reading emails? The answer is email marketing. These sites pay us money to convert their email marketing campaigns into leads and sales. It’s a fact we will delete the promotion based emails instantly because most of them carry crap with no value. But what in the case if we are paid to read the content of the email? Most of us would read the email for money. With the targeted audience, those sites get the chance to generate conversions. Remember that conversions are pure money for the paid email sites. The paid to read email sites listed here are mostly of this category. The PTR sites pay the users for reading the email which contains the promotional material. To get paid the user had to open the received email and acknowledge the receipt by clicking the link given in the email. Paid to read users call this process as email reading jobs. The PTR sites are not different while compared to the GPT sites. 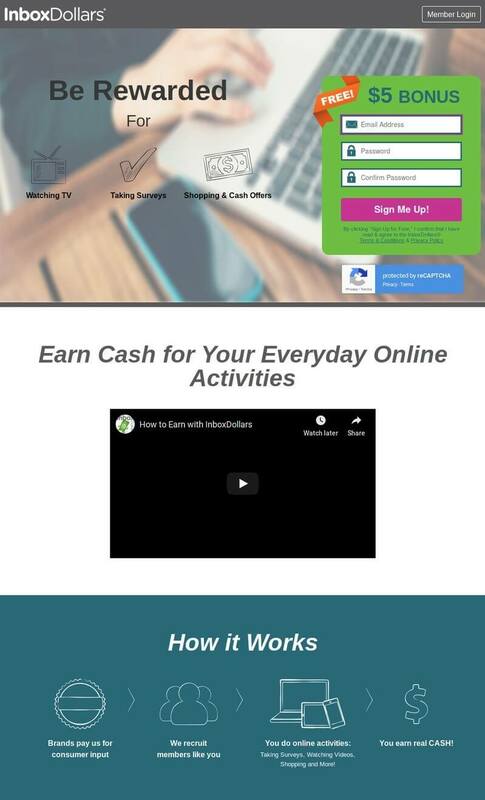 The GPT sites are the free rewarding sites that pay the users for completing the paid surveys, offers, tasks, micro jobs, shopping, playing games, watching videos, earn cashback rewards and more. One of the primary difference between the PTR and GPT site is that the PTR sites also pay for reading emails. However, the money making opportunities might vary on sites. While most of the GPT sites will send promotional emails to the members, only a few pay for reading it; these are called the PTR sites. The paid to read email sites will send promotional emails with content related to Get paid to offers. The earner will have to read the email and click the link to get paid to send emails. After clicking the link the earner might be asked to take a survey or buy a product or opt-in for the services. Though it’s not mandatory to perform actions after clicking the link to get paid for reading the email, users will be asked to complete an action in order to earn more money. When the user completes an offer, he will receive additional rewards along with the reward for reading email. The paid to read email sites users do not have to wait for emails to reach their inbox in order to earn money. They can log into their dashboard anytime to find the paid offers availability to start working. The reward for reading email is just a few cents and by only reading the email it will take years to cash out the earnings. So, to make a decent income the users must use the opportunities available for them. The legitimate get paid to read email sites need a proper source to pay its users. 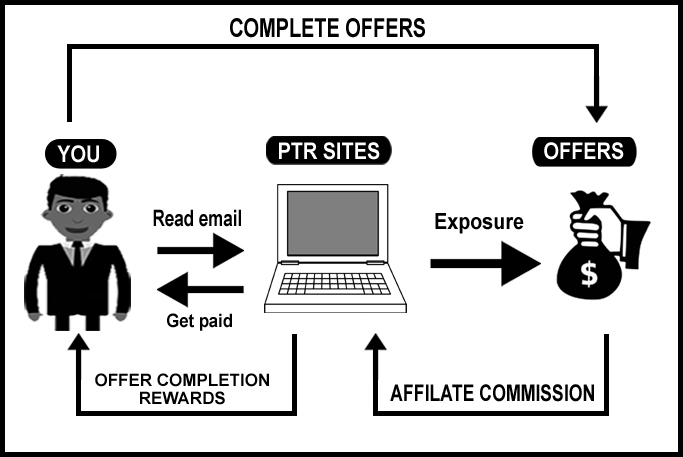 So, by adding an additional earning feature to the GPT sites, the PTR sites earns the advantage to attract the users in the name of paying for reading emails. But, their primary business model depends on the CPA offers to pay the users. To prevent misuse of their paid to read program, the sites might limit the number of emails sent to the users based on conversion rate. The promotional methods are of course the category of email marketing. This method is very similar to the one mentioned above. The difference is the sites mentioned in the above category not only pays for reading email but it also provides other opportunities to earn money. In this case, the user will be paid just for reading the content. Any other forward action should be on user interest and will not be compensated. This method can be related to paid to click industry which is a kind of paid marketing with no guarantee for conversions. This paid to read model is little unstable compared to the one mentioned above since they completely depend on advertising cost to pay the users. Any simple changes could complete collapse the business. History has proven paid to read sites based on advertising were dropped within months. Hit4pay was best paid to read email site that was operated for over 19 years and shut down at the end since PayPal have decided to stop their services for paid to sites. The paid to read sites listed below are very authentic and there are no chances for these programs to be closed anytime in the near future. Find the list of best PTR sites below. Join now and start making money by reading emails. Inbox Dollars is the pioneer of paid to read email industry. Started in 2000, Inbox dollars paid over $60 million to its members and still continues its journey with a strong community. Inbox dollars is unique and simple that exactly has features that users expect. Unlike other sites, Inbox dollars is very easy to use for the beginners. Once the signup process is complete, people start to make money immediately on Inbox dollars following their guide. The InboxDollars pay it’s users for reading emails, taking surveys, shopping online, trying products, coupons, playing games, searching the web and more. These are the common tasks found on most of the top get paid to sites. On average users earn $5 – $10 per day completing offers every day. 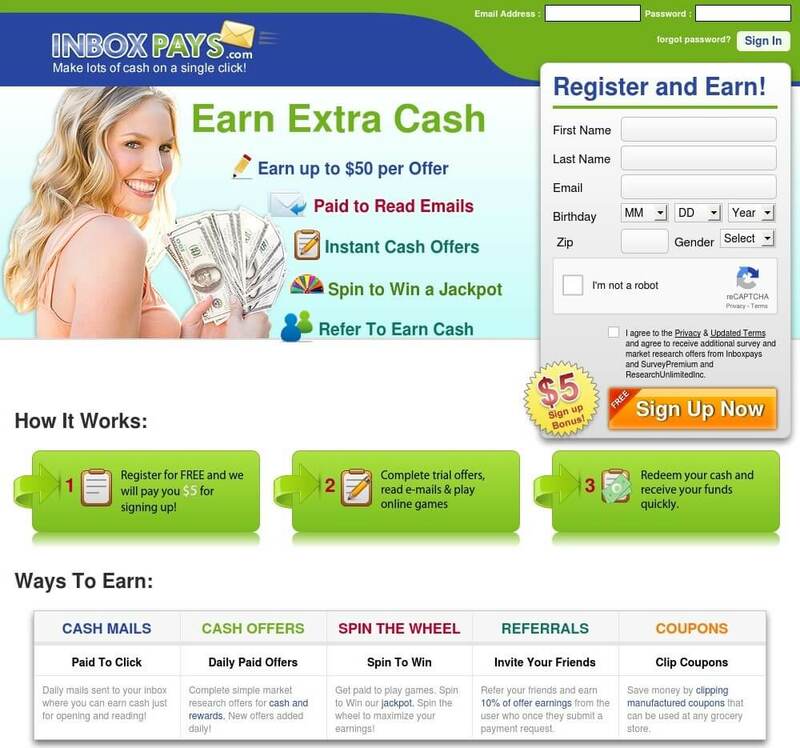 In addition to earning money, users can save money on InboxDollars. Inbox Dollars services are primarily available for the US residents. Inbox Dollars pay 2 cents to 5 cents for reading the email. The paid emails will be sent only for the members from tier- 1 countries. However, people from other countries also can join Inbox Dollars and earn money by completing the tasks listed above. Inbox Dollars money app available for android and iPhone. The minimum payout $30. The primary payment methods available on Inbox Dollars are Check and Prepaid Visa card. Members can order other e-payments options like gift cards, e-vouchers, etc. The Inbox Pounds is started in 2012 which is owned and operated by Inbox Dollars. With A+ accreditation from Better Business Bureau, Inbox Pounds remains one of the iconic paid to read email sites in the world. They have paid over £40 million to its members all around the world. InboxPounds is primarily operated for the UK residents and only they will receive the paid emails. Like InboxDollars, internet users from all around the world can join InboxPounds and get paid for completing offers, surveys, tasks, and other activities. UK members can find additional ways to earn and save money. Exclusive shopping deals, festival offers are available for the UK members. InboxPounds may send up to 3 paid emails per day. To get paid for reading email, the user must confirm the receipt by clicking the link. Members earn few pence upon confirmation. The minimum payout is £20. The withdrawal options include Cheque, e-Payments and Gift Vouchers. The InboxPays is the Get paid to read program strictly for the US residents aged 18+. InboxPays do not allow user registration from other countries. Started in 2009, InboxPays is one of the leaders in PTR industry remains a simple exclusive paid to read site till now. They boast their offers pay up to $50 upon completion. InboxPays will send up to 3 paid emails per day. Members will be paid upon confirmation. 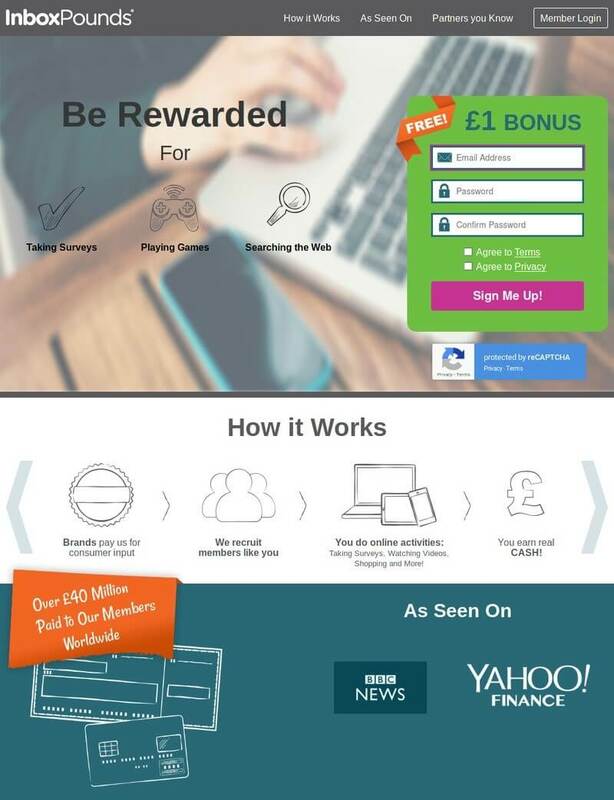 Apart from getting paid for reading emails, members can earn money completing offers, surveys, reading advertisements, playing spin to wheel game and more. Also, using clip coupons, members can save money on stores while purchasing daily grocery products. InboxPays users can earn a referral commission of 10% by referring their friends. Members need to verify their phone number in order to receive payments. On reaching $25 minimum account balance, InboxPays will send the money to the linked US verified PayPal account. 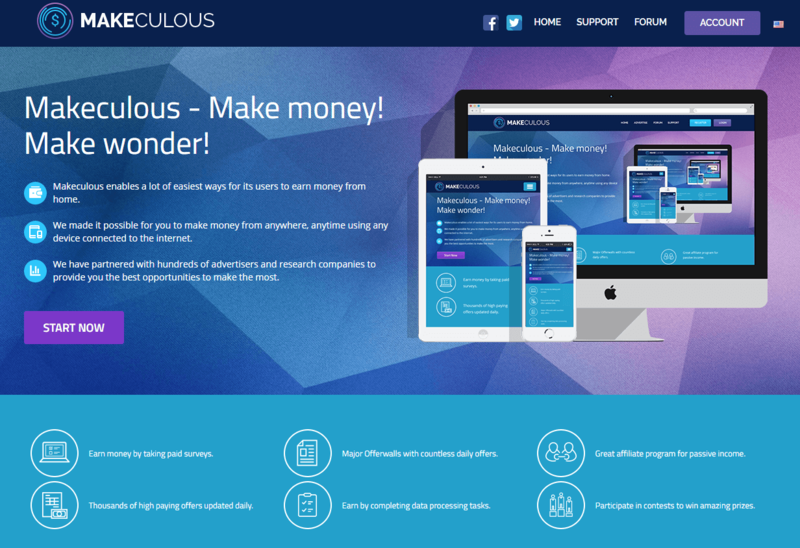 Makeculous is a Get paid to site with hundreds of surveys offers and data entry jobs to earn money on the internet. It lists top OfferWalls in the world which helps the users to find the customized earning opportunities based on the country. Makeculous is not a paid to read site, but one of its OfferWalls called MinuteStaff pays for reading email. To access the MinuteStaff OfferWall, the user has to join Makeculous. Click Earn > Offer Walls, then click MinuteStaff tab. Inside MinuteStaff OfferWall, the user must click the mail tab. If the mail offers are available, users can earn money by reading email following simple procedures. Makeculous pays through PayPal and Coinbase(Bitcoin). A minimum of $10 account balance is required to request payment. Paid to read email is a simple rewarding program to earn money online. PTR sites really pay for reading emails. Get information about the latest deals and offers from paid emails. Other than reading emails PTR sites also pay for completing offers and tasks. Join the community of the sites to learn more about earning online. Make use of the referral programs to earn without working. Earn cash and get paid through Check, PayPal, prepaid card. Redeem the money for gift cards of major brands such as Amazon, Walmart, Target and more. Earn money using mobile phone reading emails. Get paid to read email programs are not a reliable option for people with skills. Look for alternatives such as online freelance jobs to earn more money. Email reading jobs are worth for pennies. Cluttered email inbox makes it irritating. These programs work great only for the residents from tier – 1 countries like USA, UK. Concluding the article PTR sites are simple and beginner friendly rewarding programs. Email marketing work is a part of digital marketing jobs enables the advanced way to earn money sending emails. If you’re looking for some reliable ways to make money online, check out the list of best online jobs.